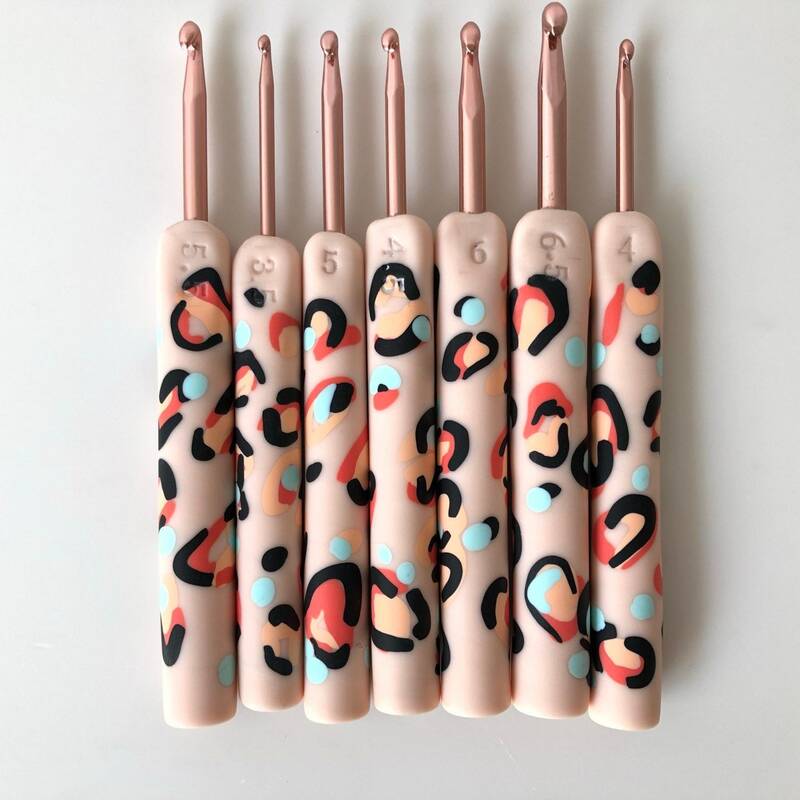 Leopard print inlaid fimo crochet hook. 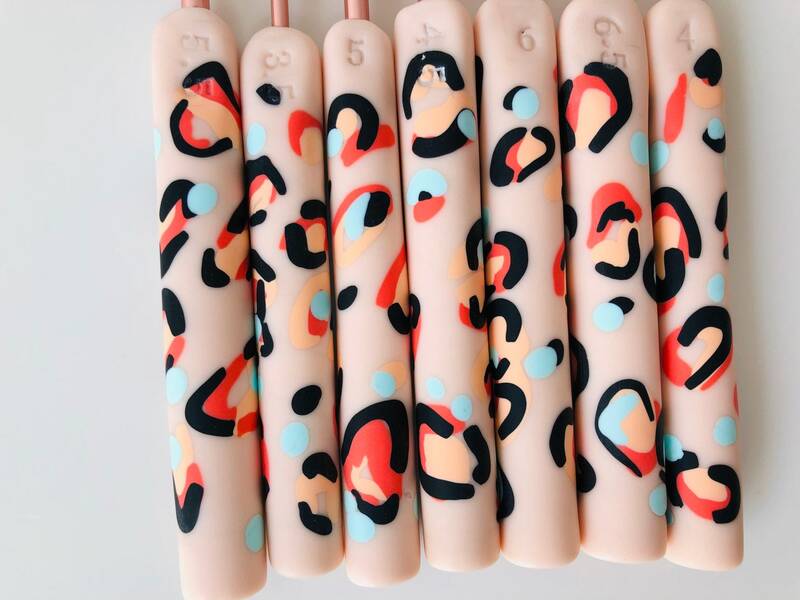 Leopard print is so hot right now. 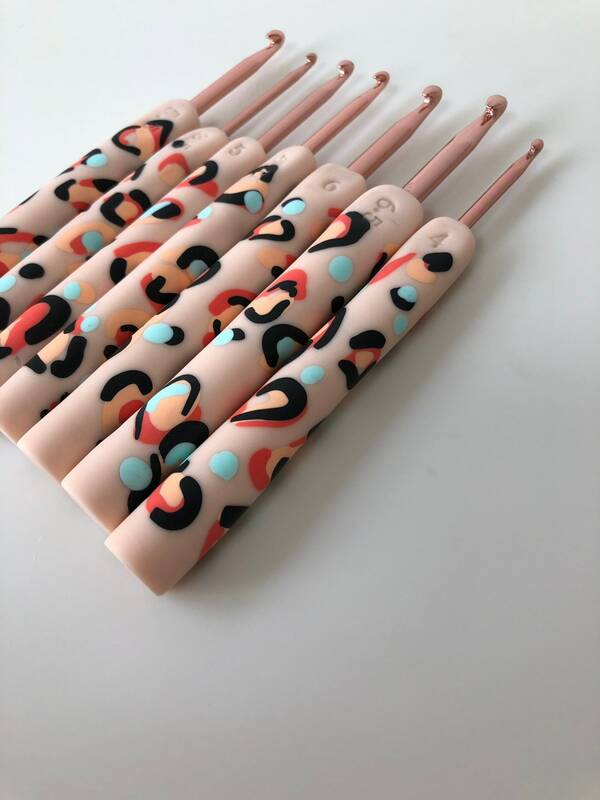 Why not hook in style with a beautiful leopard print crochet hook. 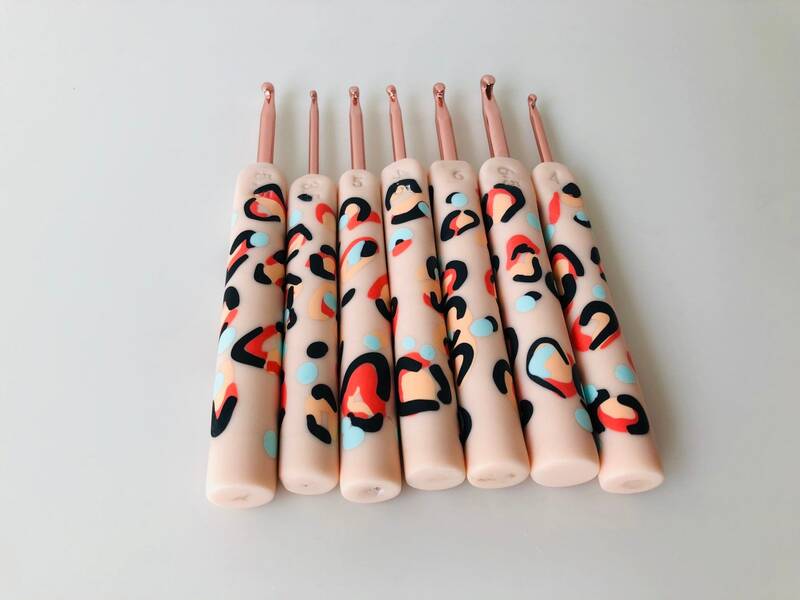 Using a rose gold aluminium hook the design is inlaid using fimo polymer clay then sanded and buffed to a super smooth professional finish.